My name is Dave Langdon, I've been in long-term care as a licensed nursing home administrator sense Aug 1974 in Washington and April 1991 in Oregon. I'm happily married to Linda, we have four wonderful adult children and four adorable grand kids. I have spent the majority of my life caring for those in my charge by nurturing caregivers and a caring team willing to meet that daily challenge. I am no longer the Executive Director of Maple Creek but take an active role in maintaining the health of the community. Zoraida has been a Licensed Practical Nurse since 2006. She has an extensive history working in Skilled Nursing and Assisted Living Facilities. Over the past decade she has fallen in love with her career in the Assisted Living space and has dedicated her time to building a career with Senior Housing Managers. Through her hard work and determination she has been promoted to be the Executive Director of Maple Creek. Her focus is to make everyone feel like a part of the family. Zoraida has a fiance and two step sons as well as a house full of puppies, cats, and chickens. Allen was born in Newark, New Jersey and is the 3rd eldest son of 8 boys. Allen was raised in Croatia (formally Yugoslavia) before he moved to the United States at the age of 15 where he finished high school in New York. He has been working with our senior citizens for over 25 years. Allen and a partner operated four adult family homes for 17 years before he made the transition to working for someone else. His best work comes about when working with the community and helping everyone he can. Carrie Averill a single mom of two beautiful children and a true Washingtonian and is fully dedicated to her children and career. She truly enjoys being a football mom to her 9 year old son and an empowering role model to her 3 year old daughter. Carrie joined the staff at Peoples Retirement Community on April 26th 2011 as a part time caregiver and quickly moved into a full time med tech position. Carrie has always known her calling was to work with the elderly by enriching their lives and giving them the dignity and respect they deserve. 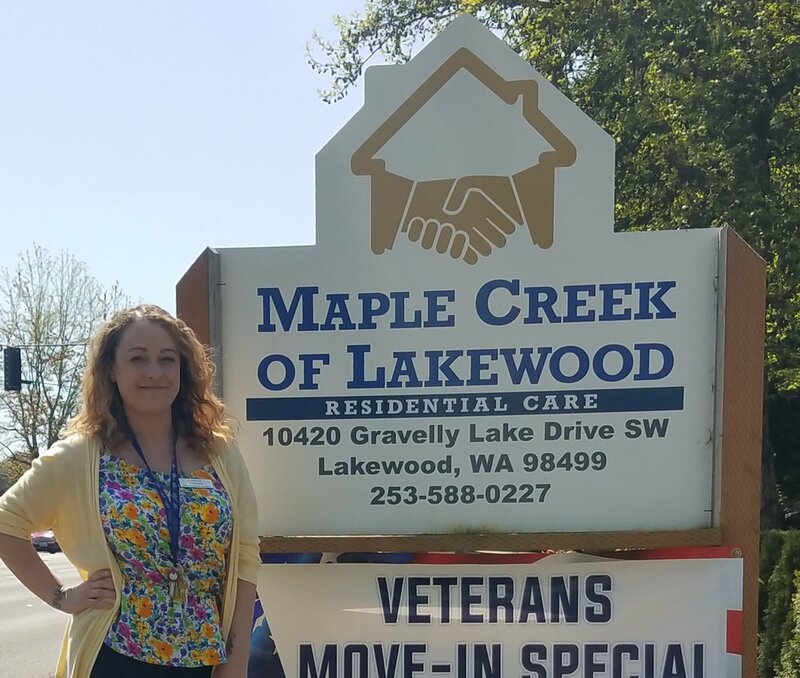 After 4 years of hard work and dedication to the company she was asked to join the management team in July of 2015 where she became the dietary manager at Maple Creek of Lakewood, which is another one of Senior Housing Managers community’s. Her 5 year goal was to become an Executive Director and after 2 years in the dietary department she took on the role of Business Office Manager at the start of 2018. Delsa was born in Am. Samoa but raised in Western Samoa by her grandparents. She was major in Accounting and Economics in Leifiifi College until she migrated to the USA. She resided in Kentucky where she studied Medical Coding, Medical Office Support and Pharmacy. She moved to Washington in 2012 and started working in Assisted and Retirement Living facilities as a caregiver and med tech where she fulfills her passion of taking care of the seniors. Delsa then took the position in Maple Creek of Lakewood as a Med Tech in 2016. She became a Resident Care Coordinator in 2017. “It’s a great challenge and blessed for the opportunity," she said. Delsa is so passionate, optimistic, determined, highly motivated, positive, easy going and a woman with a big heart and passion in serving her peers and her residents. She enjoys traveling and playing volleyball when she’s not at work.